As you can tell from the title i’m a little late with this one, i had to take a last minute trip to Manchester this week and everything has had to be pushed back a bit. Would you believe me if i said these photos we’re taken like two weeks ago? I was so ahead, sigh, we’ll start again from now shall we? Last month i received my first ever Cohorted box and i was blown away by the contents. I’ve been lucky enough to also receive the July box, and although you’re hearing about it at the beginning of August some of the products in here have made it into my daily makeup routine so it’s still relevant, believe me. Another box packed full of products you say? Pretty much. This month’s box contains a lip kit, an illuminating blush, mascara and an entire contour palette – it’s basically an entire makeup look when you think about it, you could pull off a whole face with this if you tried. With a combined value of £113, when you pay £35 for the subscription. These are incredibly soft powders, are creamy powders a thing? 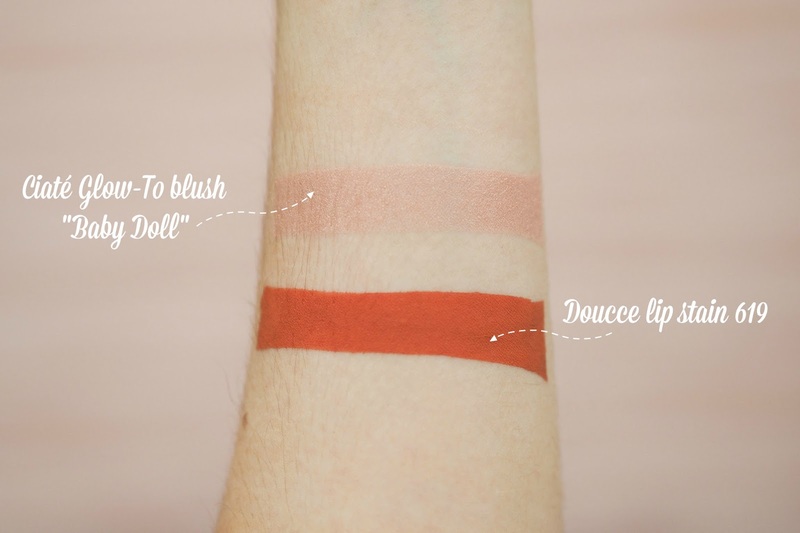 If they are, these are the definition because that’s exactly what i thought of when i first swatched these. You can see from the swatches the colour payoff and pigment is good, even with the light shades. These also blend seamlessly and allow for subtle shade and light without ever looking like you’ve drawn lines on your face – like 2015 Instagram explore page vibes. 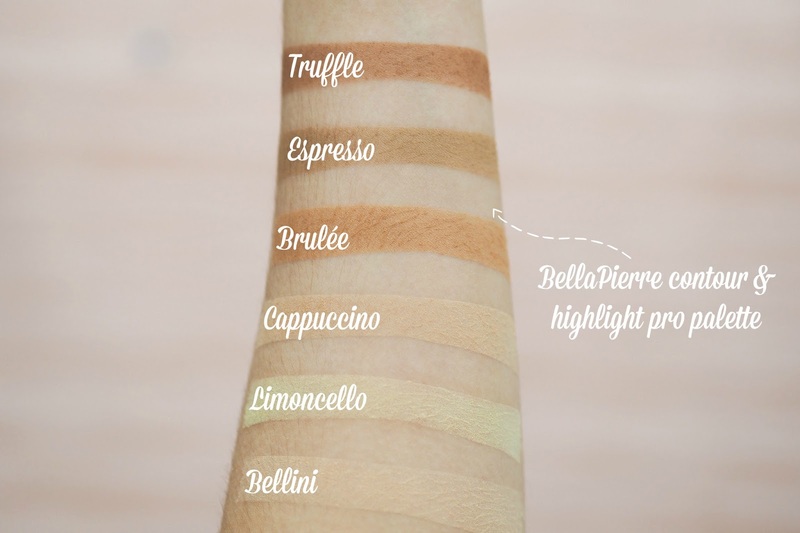 I probably won’t get much use out of the Truffle and Brûlée shades, i’m too pale for something that warm. Expresso on the other hand makes for a great contour and you never know, i might dabble with the warmer shades if i ever get round to actually making my face match my body when i fake tan. The next product is a tiny little compact, it looks like something out of a Disney film – it would most definitely have magical qualities and be the key to saving a princess or something, handed down through generations. In real life however, it’s a Ciate “Glow – to” illuminating blush in “Baby Doll”. This has made it into my everyday makeup, its a kind of cream to powder formula and the perfect mixture between a highlight and a blush, with a pink tone for making me look like i’ve got a pop of colour to my cheeks. I feel like this is what my makeup has been missing, this blends incredibly well, i usually stray from cream blushes because i’m scared they’ll mess with my base but this just doesn’t. It’s the type of product that just works, it does what it says on the tin (or compact), i couldn’t be happier. If i could only choose to save blusher or highlighter i would choose this, and i think that’s really saying something; it does both so technically i’d be cheating the system, but seen as it’s an analogy i’ve created in my own mind i think i’ll let myself off. The next product is a lip kit but not as you know it, it’s by Doucce and is the Lucious lips stain and gloss. Now this is a colour i would have never reached for previously but i’m pleasantly surprised, the colour applies pretty evenly and has great pigment and colour payoff too. This is definitely a summer shade and the type of colour i’d wear if i was matching it to something i was wearing, it’s not a colour i’d wear for everyday but the gloss helps to make it into something more wearable rather than a really matte lip. The last product is a Doucce Punk Volumizer mascara, it does admittedly look intimidating on the face of things but it really isn’t. The brush is fairly hefty but works well to create volume, this isn’t a wet formula like i’m used to so it didn’t really have that amazing lift my current mascara gives me – but it would be great for everyday when i don’t want a really dramatic lash look. I used to really enjoy this subscription service. This months products look great, especially the contour palette and blush. I love the look of that lipkit! I still need to sign up for this subscription box, it certainly looks like it's worth every penny. I've never heard of this brand but it looks amazing!